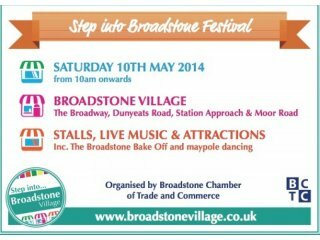 The Broadstone May Festival and Bakeoff is this Saturday May 10th 2014 in the main High St of Broadstone.Events start at 12 noon till 4pm. There will be lots of stalls to peruse all along the street and we will be outside Budgens so come and see us! See http://www.broadstonevillage.co.uk for more details. ← Athelhampton Plant Fair Sunday May 4th.